My dreams have come true! 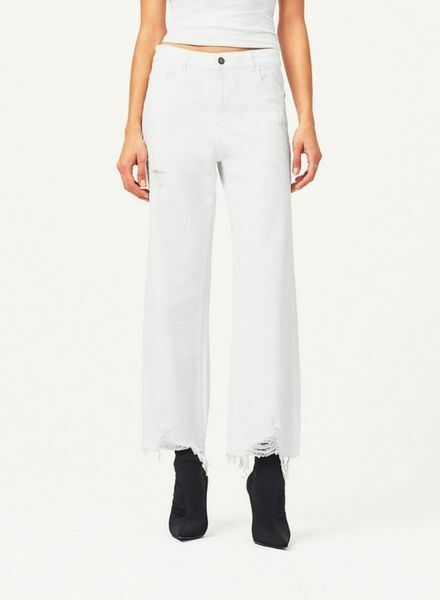 Finally, the perfect white denim. These are high waisted, wide leg, cropped and have a ravaged unfinished hem with some distressing on the upper right thigh. SO comfortable and stretchy you can do a squat!